Blogging is becoming a popular form of expressing yourself online and Blogging for Money turns something that might start out as a hobby or some fun into something that can earn you an income. You will not earn a fortune overnight if you start a blog, but with a little inside knowledge you can really earn a reasonable income from blogging. The benefits of being able to earn a living from blogging are that you are able to work from home, work the hours you want and write about things that you love and that inspire you with virtually no outlay. You may be surprised to hear that there are people that have turned blogging for profit into a full time income earning some $3,000 + per month! However, not everyone is capable of earning that kind of money from a blog so dont think of this as a get rich quick scheme! You need to have a certain level of knowledge about a subject that means you can write with some credibility to a target audience. You need to be able to write in a way that people find interesting so that they will come back to your blog time and time again. You need to have a level of knowledge about how the internet works and be able to apply it to your blog. If you dont have all of these pieces of the puzzle you are unlikely to be able to make money from a blog. However, dont despair, as long as you have a general level of education and have number 1 in place, you can learn 2 and 3 and I can point you in the right direction! In case you don't know, a blog stands for Web log and is effectively an online diary or snippets of information that you share about a topic that you know and love. Many people enjoy blogging as it is quick and easy and less daunting than thinking about starting up a website. Just follow these steps and access some of the recommended reading and you should find that you are able to get started pretty quickly. You need to be able to write about something that you know and love. If you are passionate about something, you can turn it into a blog. It doesnt have to have a business focus, as long as it is something that you are knowledgeable about or feel you have something to say or can talk for ever on! Of course, having a blog is a way of promoting your business and most industries will do well with using a blog to promote themselves - even a blog for network marketing! Now you need to make sure that your niche is one that is something people are interested in and that there is enough demand for in order for you to make money from it. This means that it must be broad enough to have a wide enough audience but not too broad that you will never get found or will have to compete against other very knowledgeable people. You might also consider what unique angle you can add to your blogging  think of a way of making what you are saying appealing to a wide audience. To find out more about choosing your niche, take a look at this free, step by step 10 day Action Guide. I have already said that to make money blogging you need to be fairly internet savvy. This doesnt mean you have to know how everything works, just that you need to know enough to use things. I suppose it is a bit like knowing how to drive a car without having to know how the engine works. As long as you can press the right pedals at the right time you will get there. Much of it may go over your head to begin with so dont try to learn it all at once. Do a google search for some of the new things that you come across and you are likely to find some information that will help you to get a basic understanding of what it is you are tyring to understand. Other than that, until you need to know, just focus on the basics and move one step at a time. Renegade University has some great free training on how Blogs bring prospects. 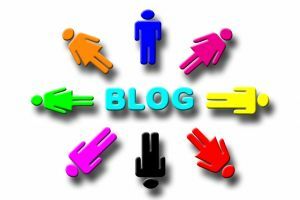 It is a good overview of how you can use a blog. For more in depth training about blogging, including step by step training on how to set it up, consider Renegade Professional. This is the most comprehensive training around and covers every conceivable online marketing angle you could possibly think of. Well worth the investment if you are really considering making a living online. No, I'm not saying you are a dummy! I just love these books for dummies. I find that they are easy to read, easy to use and put things in plain language so that I can understand them. Anyway, if you are not insulted at the thought of me calling you a dummy, take a look at this selection!! Regardless of where you host your blog, you should have your own domain name. If you havent already registered it, your name is a great domain to own and you should consider buying the .com, .net and any other variation that you can find. I have most of my domain names with GoDaddy as I find them very reasonable and easy to use. You can forward to your website or blog easily and if you need to have something hosted you can. You also get a free Quick Blogcast Account for domains that you purchase through them, although I prefer other platforms myself. Blogger.com  a free version that is easy to use but beware. It is not the best platform to use if you want to use a blog to make money. You have limited control and your blog will be a subdomain of their site so you wont own your own traffic. You need to be building traffic to your own url not someone elses. Wordpress.com is another great blogging platform with a free option that is sufficient for most peoples needs although you won't be able to use this for placing adsense adverts. Wordpress.org - Totally Free - you just need your own domain name. Allows you to use your own url and place that all important advertising. Squarespace.com  another great option although this one does have a small monthly cost attached. There are many arguments about whether you should build a website or a blog and if that is something you are struggling with, read this argument about whether you should go with a blog or build a website. There is no time like the present. Get writing! With a blog you have the freedom to write about what interests you. The key piece of advice is just to get started! So many people put off getting started because they are worried about it being perfect. Blogging is a very forgiving medium. You may make mistakes but the only way you will be able to work out what people like is to get writing! Write about something that has happened recently, an experience or something that is a current newsworthy hot topic. The part that always surprises people I speak to is that you can monetise your blog in a number of ways (Monetise just means make money from). 1. Adsense Adverts  Google gives you a little piece of code to imbed in your site which means you get targeted adverts placed where you choose. When people click on these adverts, the advertiser pays google and google splits the proceeds with you! 2. Affillate programmes  Amazon is a perfect one to get started with as there will always be books that you can recommend on your blogging topic. Start off recommending quality books that you love and would recommend to a friend. If anyone buys a book from your link you get paid commission! There are lots of things you can do to get started including joining the training I mentioned above, but my number one philosophy on getting traffic is to write lots of quality content that people are looking for. Return from Blogging for Money to Home Work Business Opportunities.